Good food after a day’s hard work is always a pleasure and there is no substitute to good wholesome and nutritious food. But, more often than not, we are so engrossed in our work that we fail to think about our health which in turn means that we neglect good food. And most think it’s a cumbersome task to deal with all these nitty gritties, think about nutrition, good food etc.. It’s so complicated. The idea ultimately is to just eat whatever is available when hungry. But, it’s not difficult as it seems. 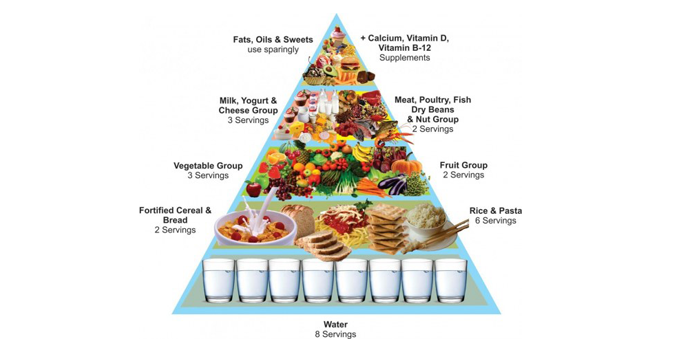 Well, while you are in a restaurant you always think about ordering something tasty and compromise often with the nutritional aspects, here is a simple food pyramid tips which can be followed easily without any complications. This can be followed in restaurants or while you are out and at home. -1 Jowar, Bajra or Makai roti. These foods are a must eat and should be added to our food plate daily. A person should have at least 3-5 servings of vegetables and 2-4 servings of fruits each day. They contain vital nutrients like vitamins, minerals, antioxidants, folate, iron and potassium and many more nutrients. These foods consist fiber help our digestive system and also gives us different types of nutrients, phytochemicals and are also rich in antioxidants. There are certain good fats which are useful and beneficial for our body, as the cell membrane around our brain are made up of good fats, These are the foods which should be eaten by keeping the portion control in mind and even the time of the day should be noticed as its important. Some good source of sweetners are Raw honey/Jaggery/Dates/Prunes, these are the healthy sweetners, But, because of today’s lifestyle some unhealthy sweetners have sadly become the staple diet in our lifestyle. Ideally this should not have happened. Choose Any of the junk food item and it will contain these ingredients – burgers, pizza, vada pav, samosa, fizzy drinks, alcohol, instant noodles, chips, frankies etc. These are not bad to have but, at the same time we should keep our portion in control. We shouldn’t have more than 3-4 servings of these food items in a day. Some common basic sources are vegetable oils, butter, sugar, jaggery and honey. One serving is defined as 1 tsp of oil, ghee or butter and also 1 tsp of sugar, jaggery and honey. Now last but the least…WATER:. Water is one of the most important component that cannot be ignored in this entire pyramid. We should have at least 8 glasses of water, as it is very important to keep our cells well hydrated and alive. The above given quantity is for a non-active person, but an active person needs at least 10 to 12 glasses of water average..
pH balance in the body is extremely important in fact it is a matter of life and death if its imbalanced. The only people who don’t consider this alkaline/acidity balance as vital for better health are ignorant and pop in a pharmaceutical pill for every illness and bug in the body. pH stands for power of hydrogen, which is a measurement of the hydrogen ion concentration in the body. The total pH scale ranges from 1 to 14, with 7 considered to be neutral. 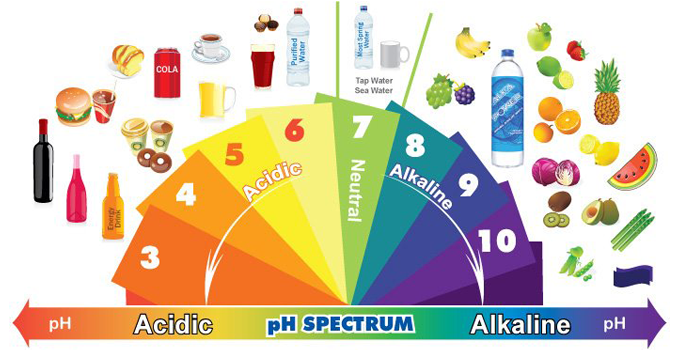 A pH less than 7 is said to be acidic and a pH greater than 7 are basic or alkaline. Human blood pH should be slightly alkaline ( 7.35 – 7.45 ). An acidic pH in the body can occur from, an acid forming diet, emotional stress, toxic overload or any process that deprives the cells of oxygen and other nutrients. 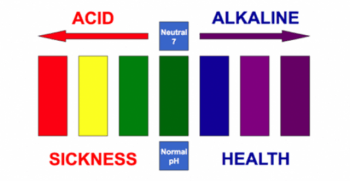 The body will try to compensate for acidic pH by using alkaline minerals. If the diet does not contain enough minerals to compensate, a buildup of acids in the cells will occur. This when combined with an arena of other challenging environmental factors (such as lack of rest, psychological stress, and pharmaceutical drugs) will lead to chronic, degenerative illnesses or otherwise deadly conditions sooner or later for which modern medicine can’t claim 100% cure. Acidic environment will decrease body’s ability to repair damaged cells, decrease its ability to detoxify heavy metals, make tumor cells thrive, and make it more susceptible to fatigue and illness. The reason acidosis is more common in today’s society is due to the drastic changes in the eating patterns as compared to our ancestors. Our food today is far too high in acid producing animal products like meat, eggs and dairy, and far too low in alkaline producing foods like fresh vegetables. Additionally, we eat acid producing processed foods like white flour and sugar and drink acid producing beverages like coffee and soft drinks. We use too many drugs (for quick fixes), which are acid forming too. Chemical or artificial sweetners are extremely acid forming. On the other hand eating too many alkalizing foods can lead to its own fair share of complications over time, but the risk of this is seemingly less likely considering the current sorry state of today’s highly addictive people’s faulty diet as well as lifestyle. One of the best things we can do to correct an acidic body is to clean up the diet and lifestyle. In order to maintain optimal health, the diet should consist of 60% alkaline forming foods and 40% acid forming foods. To restore health and reverse the damage caused by acidic body, the diet should consist of 80% alkaline forming foods and 20% acid forming foods. A small explanation to make you understand things better, when a person ingests food to fuel the body, the digestive and metabolic process of the body breaks food into a kind of ash which is either acidic or alkaline. The laws of modern biochemistry further explains that it is not the organic matter (such as Carbohydrates, Proteins and Fat) of foods (whether the food itself is acidic or alkaline), but their inorganic matter (such as calcium, magnesium, potassium, sodium, sulfur, phosphorous; that is, how they break down in our bodies), that determines either the acidity or alkalinity of this ashy residue. All foods in nature contain both acid and alkaline-forming elements, pH balance is either achieved or thwarted as a direct result of the foods we choose to eat. Broadly speaking alkaline foods includes most fruits, green vegetables, peas, beans, lentils, spices, herbs and seasonings as well as seeds and nuts. And, acid forming foods includes meat, fish, poultry, eggs, grains, and legumes along with all the processed commercial refined foods off course! 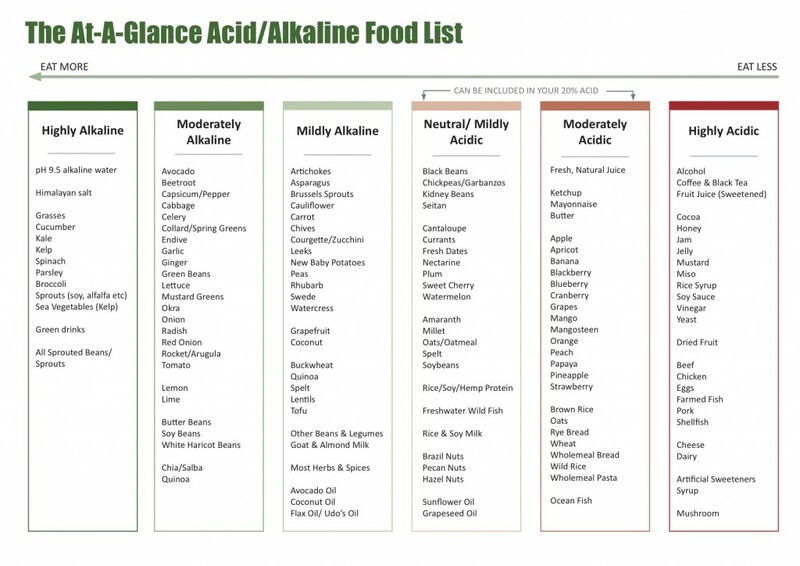 Here is the quick list of foods based on their alkalinity and acidity, Have a look at them and follow the tips attached beneath that to make your diets more alkaline. Having fresh vegetable juices in the morning will oxidise the nutrients present in the veggies. Avoid toxic fats like trans fats. Less known fact about coconut oil is it’s not acidic like all other oils when used for frying. Using coconut oil for cooking is the best recommendation. Stop using deodorants and creams. They have massive chemical load that makes body acidic, also they often suppress the body’s natural functions like sweating, which actually helps to eliminate acid, and pushes the acid back into the lymph nodes. Stop drinking fluoridated tap water. Tap water is bad, don’t even use it for cooking. Use water from water filter for drinking and cooking purpose. Cut right down on meat. Meat is very acidic. Especially red meat. Above all, the ultimate goal is balance. What you eat and drink will impact our body’s pH. So eat wisely. We Asians relate food to almost every occasion. 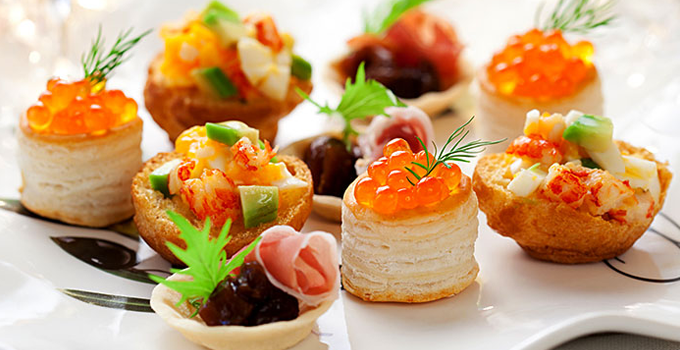 Be it any occasion- happy times or sad, food plays an important role in our lives. Birthdays remind us of cakes, weddings of a large buffet spread of delicious food and desserts and festivals of all the goodies. India is such a vast country with so many cultures and religions that we celebrate one festival almost every other week. Secondly, we Indians are highly social people and we have loads of relatives who visit us or we visit them, we also have a lot of business meetings taking place over food. Given this background how does one stay fit? People are constantly making excuses to not exercise or eat healthy. The list is never ending and so are the excuses to not stay fit. Why do we make such excuses? 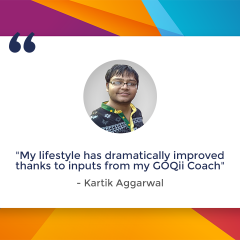 The biggest reason being the perception that most have about dieting. Diet to most Indians means eating just salads, fruits and tasteless food and that they are forbidden from eating their favourite foods or desserts. But, little do we realise that dieting is not all about salads or fruits, instead it is all about achieving the right balance of all the nutrients required in your diet. You can also have that occasional junk but, we need to maintain a right balance between junk and wholesome food. 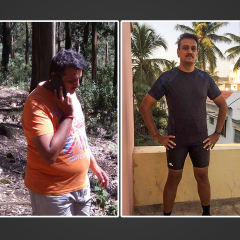 An average Indian also lacks basic knowledge of foods and is easily fooled by the junk market and not to forget some less aware doctors, dieticians, newspaper articles add more to the confusion. In such a scenario what does one do? If you ask me I would say anything in excess is bad. You eat too much of salads and raw foods you will end up with a bloated stomach. Therefore the best way to lead a healthy life is to maintain a good balance of the healthy and the not so healthy. Not all our traditional food is bad. In fact, we have such a unique cooking culture that every region has different cooking styles and this is something that is influenced by the climate, soil fertility and the crops grown and yes, that is what is healthy! The olive oil that travels from Italy or middle-east is not the trend we should follow, we should stick to our local grown peanut oil (Gujarat/Maharashtra), Seasme (Til) oil (Punjab), Coconut oil (south). So why are we fat and not fit compared to our grandparents and ancestors, despite having so much access to all the information about health and nutrition? We eat the non-traditional foods such as burgers, pizzas, pasta etc too often and our grandparents traditionally stayed in joint families and worked in farms all day, food was limited and physical exercise in the form of working in the farm was very high. We have now come down to nuclear families and abundance of food. To cut it short, we need to eat local wherever on the globe we are, because local food is customised to suit local people for better health. Drink more water, at least 3 litres every day, if you stay outside in the sun a lot then you definitely need more water intake. Make the traditional delicacies at home so you know there is no adulteration in the ingredients. On festive occasions like Holi, Eid, Lori relish the milk based sweet drinks (Thandai and Shirkurma, Lassi) all of which contain really healthy spices and nuts. 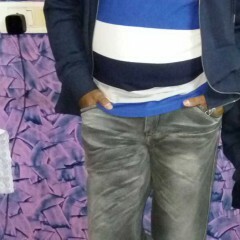 Do not force anybody to eat more, change the trend by avoiding fried food and offering healthy sweets. Also, if someone says they are on a diet, help them follow it and don’t push food down their throat. If possible take tasters of food and appreciate healthy food. However, never mention you are on a diet, trust me you will be the biggest target at the party to eat. If the food is heavy, avoid the dessert. But, if you have a major sweet tooth, eat a smaller main course to accommodate the sweet. Limit alcoholic drinks to 1-2. Banning soda is the best thing you can do for your body. A little extra load of work and our daily fitness routine goes haywire. Imagine the plight of frequent travellers. In order to earn our daily bread and butter, travelling to and fro, battling between time zones , drastic weather changes, irregular eating habits and non availability of space and time for exercise can surely make our lifestyle goals hard to attain. Like every other problem, this one too can be tackled intelligently but, only if you are honest, motivated and determined. 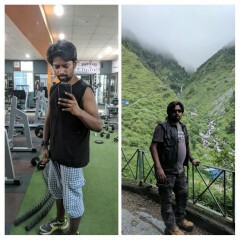 I have gone through this phase in my life too, so here are a few ways, how you could go about in terms of nutrition and activity. Keep sipping water all throughout the journey. Be it via road, rail or air, specially, while taking long flights to combat dehydration (the fatigue it causes), and avoid extreme jet lag. The cabin air is much drier so remember to drink few glasses water before boarding, then another one each hour in flight.2. Organise every trip of yours well to avoid stress. Stress is the main trigger for junk eating. 3. Avoid leaving home hungry. Eat a quick snack at home so that you are not carried away by the food counters at the stations or terminals. 4. Carry some fresh fruits, dry non-perishable snacks along like roasted munchies, nuts, un salted popcorn. 5. Avoid stopping at take away counters/convenience stores for packaged foods during halts. Opt for something local and fresh. 6. If you are flying, don’t depend on the airport and airplane food. Either get your own mini meal packed or check out the options available. 7. Avoid getting BORED ! Sometimes long hours of travel can lead to boredom snacking . Carry some boredom busters wit you like a great book/audio book. music player, magazines, crosswords/puzzles or just pen down random thoughts. 8. Keep your meals high on fibre as travelling often means missed bowel movements. Salads, fruits, whole grains do the trick. 9. Get your daily protein quota. 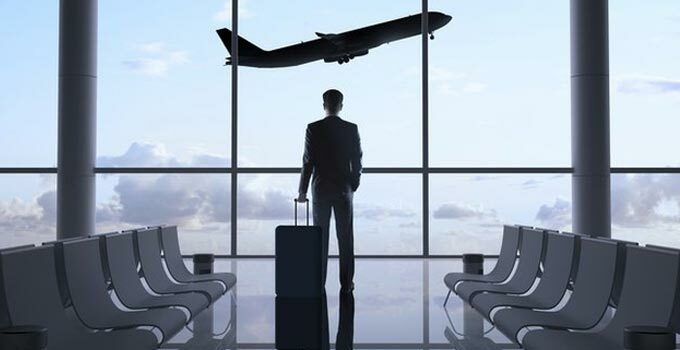 Travelling is a type of stress for the body and a frequent one can lead to more wear and tear. 10. Lastly, log in your meals. It will help you keep accountable. 1. With regards to activity, if not dedicated exercise, try being as active as possible. 2. Invest in some travel essentials like ear plugs, eye mask and neck pillow. Remember, exercise will be the last thing you would like to do if you end up having a stiff neck. 3. Book a room on the third floor and take the stairs. Walk whenever you can between meetings. 4. Get up and stretch yourself after every 45 minutes to 1 hour as sitting for long can be damaging to our posture. Walk the length of the plane, every hour or two to keep your back happy, your muscles supple, and your blood circulating. 5. Indulge into some deep breathing exercises, it will help you keep calm or even put you to sleep. 6. Plan your week in advance so that your travelling time becomes your rest day. 7. Use the long corridors and long waits for a quick brisk walk in airports / stations. Take stairs rather than escalators. After all, you have to sit for hours in the plane so make the most of the time you have while you wait. 8. If driving, take a break every 1-2 hours, and walk around the parking lot of a rest stop. – never forget to pack your workout clothes and shoes. They are anyways light. Go ahead, have a safe, healthy and active trip.